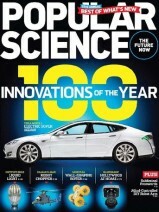 Click here to visit the Mercury Magazines site and fill out the form to request a free subscription to Popular Science magazine. If they show you any offers, you can just click no to them. Allow 6-8 weeks for delivery for this one.